On DAY 3-5 an upper low over Mediterranean merges with the upper trough coming from the north while a strong surface low crosses Italy. 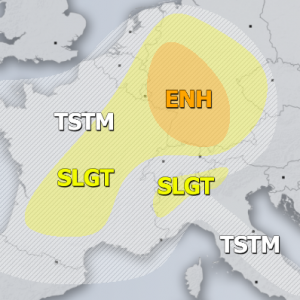 Widespread severe weather activity is expected over much of N-CNTRL Mediterranean. Follow the updated details on DAY 1 and DAY 2 outlooks in the coming days.